Seal tap penetrations. Regrout shower walls to height of shower screen. 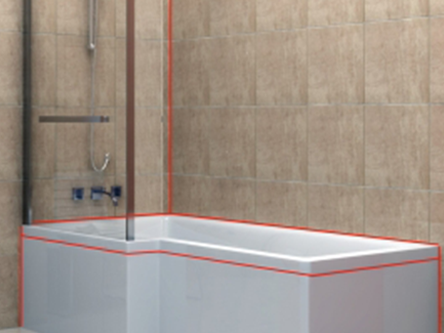 Remove & replace mouldy silicone or sealants to internal junctions of shower screen. Apply Elite product to the prepared junctions. Apply hydro barrier sealer to walls. Comes with a 7yr Product Warranty. 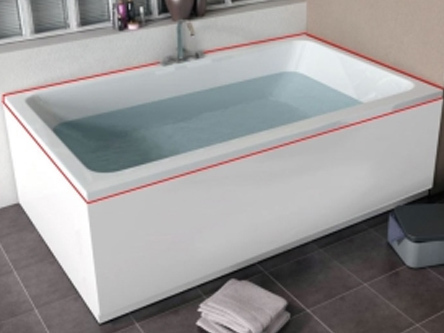 Elite System - Prepare the bath perimeter & wall tile junctions using specialised tools.